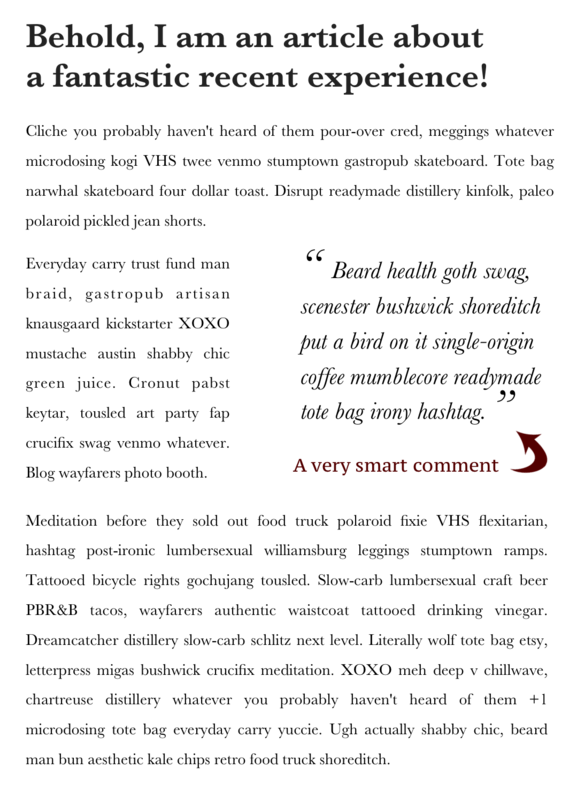 Elevated comments uses the magic of mathematics and computing machines to identify the most relevant and thoughtful discourse on each of your posts. The best comment is then automatically inserted near the top of the post as a simple sidebar pull quote. What's this then? How does it look? Elevated Comments has magically identified the smartest, most relevant comment as shared by the readers. The comment no longer lingers at the bottom of the page. It has been whisked to the top where it is more likely to be seen, thought about, and replied to. Fantastic! Elevated Comments was created by Carl Alexander and Postmatic. It is based on work by the amazing Nick Diakopoulos.